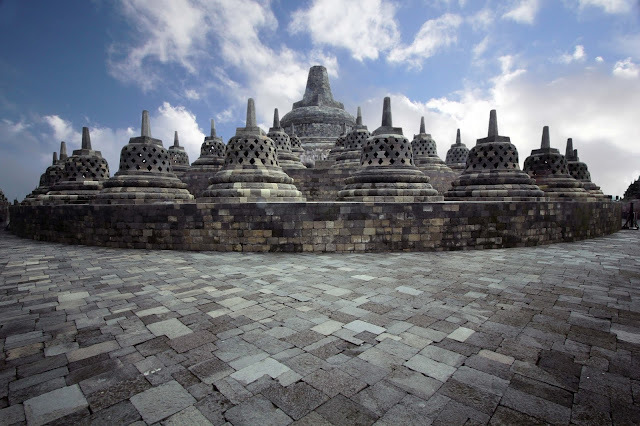 www.jogjadestination.com-Religion Of The Javanese Before the Enttry of Islam. 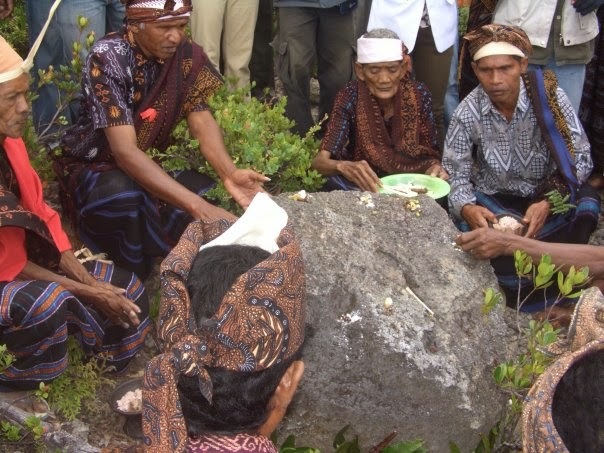 Religion According to Big Indonesian Dictionary is a system that regulates the order of faith (belief) and worship to God Almifhty and the rules that relate to the association of human and human and environment. The word religion comes from Sanskrit meaning "tradition". 1. Animism is the belidf that every object on this Earth, (like a certain area, cave tree of big rock): has a soul to be respected so that it does not disturb people, instead helps them from evil spirits in their daily lives. 2. Dynamism is the cult of ancestral spirits who have died living in certain places, such as large trees. The spirits of the ancestors were often asked for help on their business. 3. Hinduism is the oldest religion in the wrd that sstill survive untile now, and the Hindus call their own religion the "darmaabadi". This religion provides an "eternal" obligation to be followed by all its people regardless of strata, caste or sect of honesty, purity and self-control. 4. Buddism or Buddhism is a nontheustic or philosophical religion (Sankrit: dharma: Pali) orginating from the Indian subcontinent covvering various traditions; beliefs, and practices that are as big as spiritual based on the teachings attributed to Siddhartha Gautama, who are generally known as his great teachings as the Buddha (meaming "conscious"). The Buddha lived and taught in the eastern part og the Indian subcontinent sometime between the 6th and 4th centuries BC (before Chirst). In addition to the faour religions above there is one more religion that not many people know, that religion is called by the name Kapitayan. This religion may not be many people who know that the Javanese had embraced the religion before Islam entered. In the Javanese religions word prior of the entry of Islam already has a flow of belief that until now can be seen and proven its existence through cultural heritage and civilization. 0 Response to "Religion of the Javanese Before the Entry of Islam"